Ruth is based near Chelmsford and covers Essex & the Home Counties. She provides advice on all aspects of financial planning, specialising in retirement planning, investments, and estate planning. 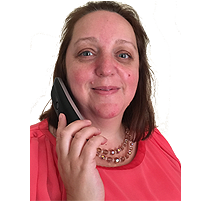 Ruth has been an adviser since 1997 and joined Nexus in 2015. Her business grew through recommendation, with most of her clients referred to her by members of their family, friends or business associates. Her balance of professionalism and friendliness plays a big part in her ongoing success. Providing a good service is important and so we're delighted to receive positive feed back from clients. Here's what a couple them have to say about Ruth. We are entirely happy with the service... have recommended her to both family & friends who are similarly satisfied. Friendly and more importantly still, very efficient and professional. Ruth is an outstanding IFA and we regularly recommend to anyone that asks!